Published on September 15, 2011 September 16, 2011 by cara.b.b. 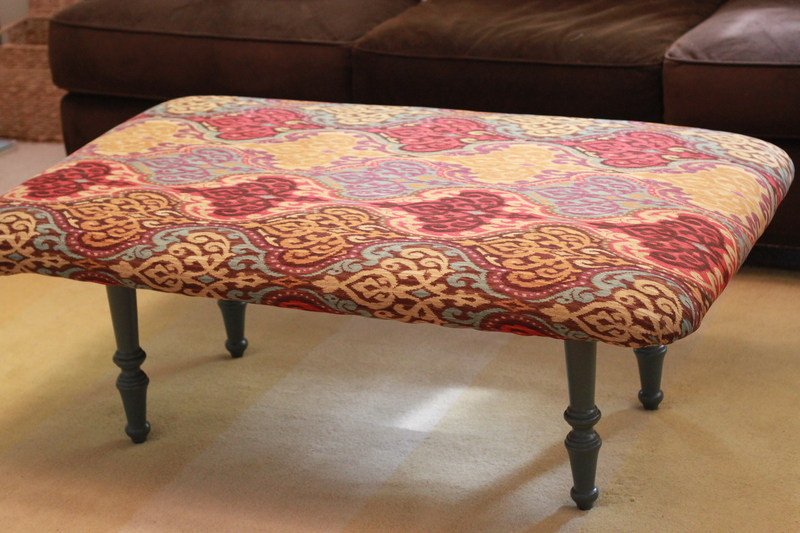 ok, let’s get down to the nitty gritty of turning a regular old coffee table into a padded ottoman. it really is a fairly easy project, but i would definitely recommend you wrangle someone to help you. it’s so much faster and easier with help! i am blessed to have two amazing parents, who are game for anything and always willing to help me with my little (or big) projects. my dad tackled play time, nap time, and lunch time with beckett while my mom helped me tackle the table. it takes a village! we set up our ‘workshop’ in the backyard, so we would have plenty of room to spread out. we started by coating the top of the table with spray adhesive, and slapping on the first egg crate. this is the can we had on hand. here’s the deal on the egg crate: i looked for high density foam at joann’s, but they were out of the size i needed, and that stuff costs a small fortune. i thought egg crates would achieve the same look and they were about half the price. anyhow, first egg crate is on. another layer of spray adhesive goes on the first egg crate, and egg crate #2 goes on top. we ran a line of staples around the edges of the egg crates one layer at a time- pay attention to your corners – you don’t want them to look ripply. 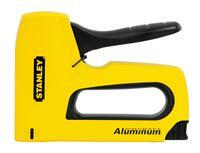 we used both an electric and manual staple gun, but i actually preferred using the manual on this project. we used this one. now, cut the extra foam (leave about an inch between the staple and the edge) so your fabric can lay as flat as possible. 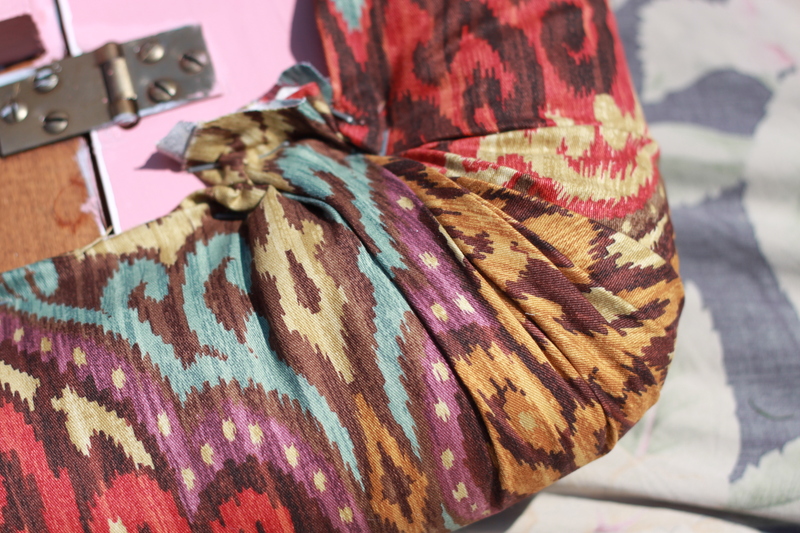 now you’re ready for the exciting part – the fabric! 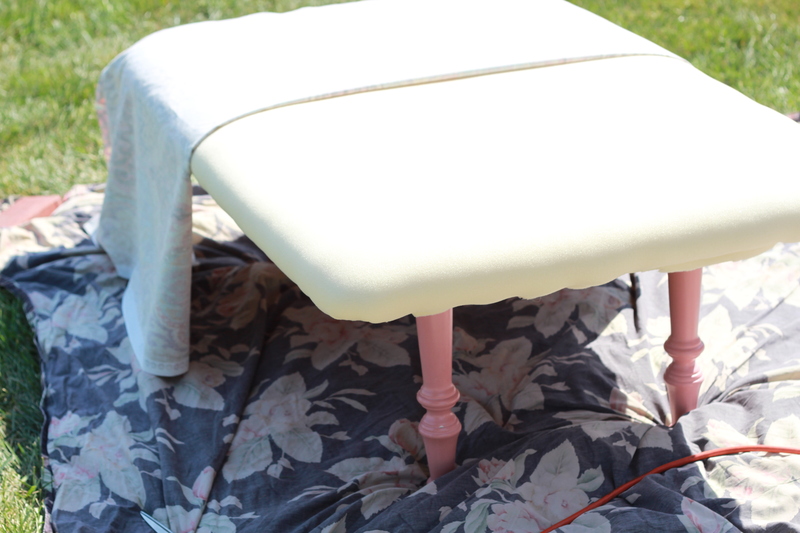 turn your table right side up and lay your fabric on top. take the time to see how your fabric lines up and move it around until you are 100% happy with the way it’s going to look on top. make sure you keep enough fabric on all sides to cover the foam entirely. 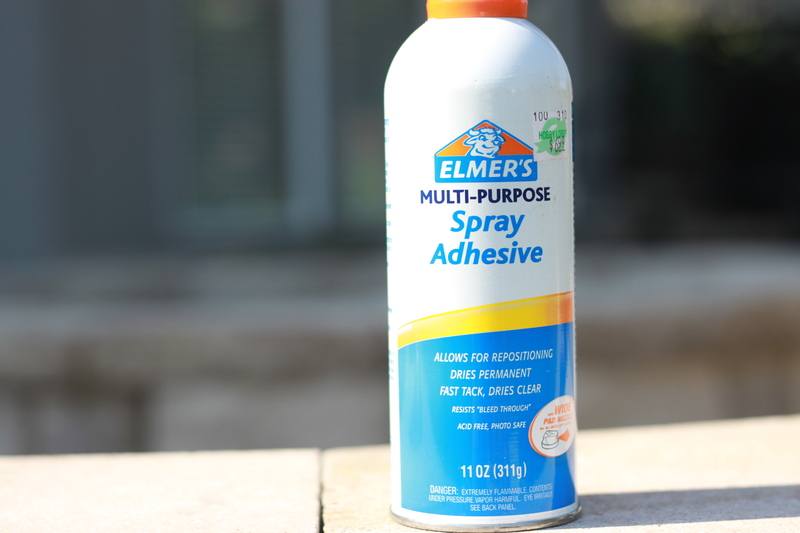 while it’s still right side up, and your fabric is laying just the way you want it, fold one side on the other, so right sides are facing each other, and another coat of spray adhesive goes on top of the foam. 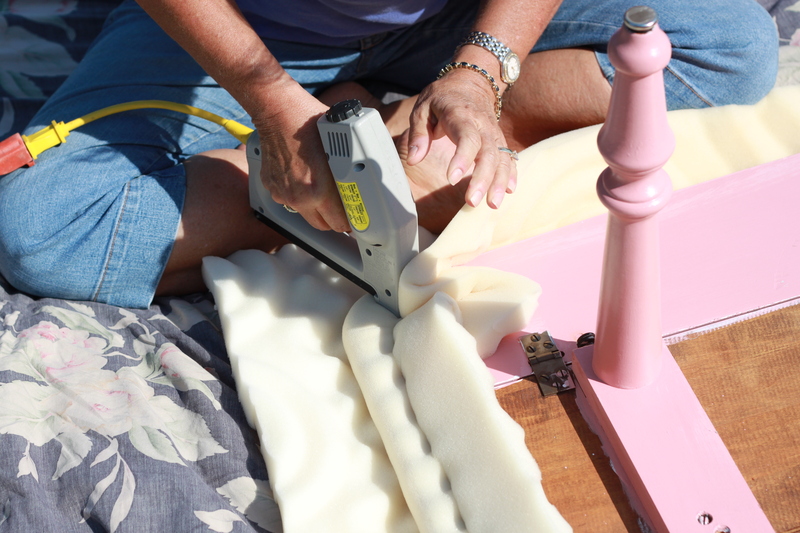 then, carefully lay the fabric on the foam, smoothing it out as you go – you don’t want any ripples! now, once more around with the staple gun. we folded the edge of the fabric to give it a cleaner look, and that way the staple has two layers of fabric to grab onto. again, the corners are the tricky part. we used the ‘easing’ method (kind of bunching the fabric) because the corners of the table are rounded. cut any excess fabric – we only had excess on the corners. now, you’re done with the hard part!! the only thing left to do was to paint the legs. i gave them two coats using paint that i had already used on another project. in a few hours, they were completely dry, and the ottoman claimed it’s new spot in our den. Nice job with the explanation and pics.